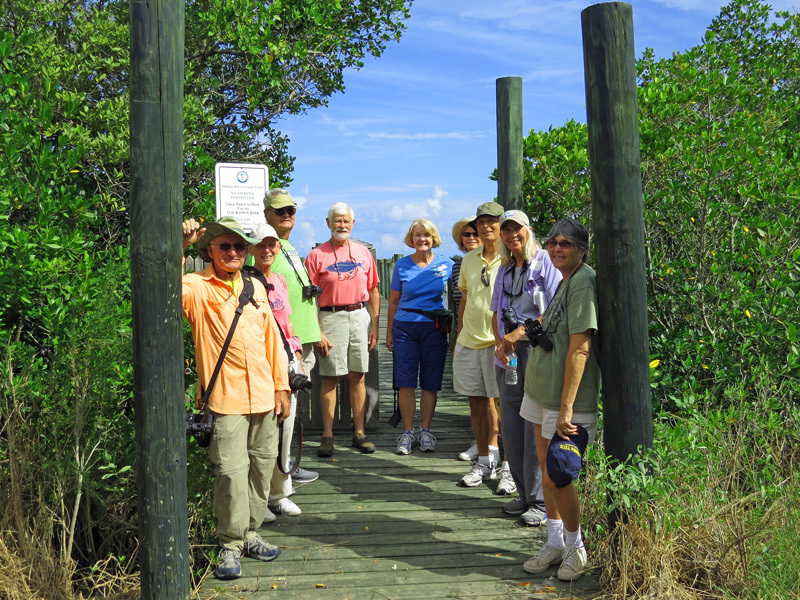 On our walk on 10-25-2015 at the Toni Robinson Waterfront Trail, Nancy Soucy (Class of 2010) pointed out lots of butterflies and wildflowers. One of the most abundant & evident sign-of-fall wildflowers was the large, pollinator-attracting white crownbeard (Verbesina virginica). 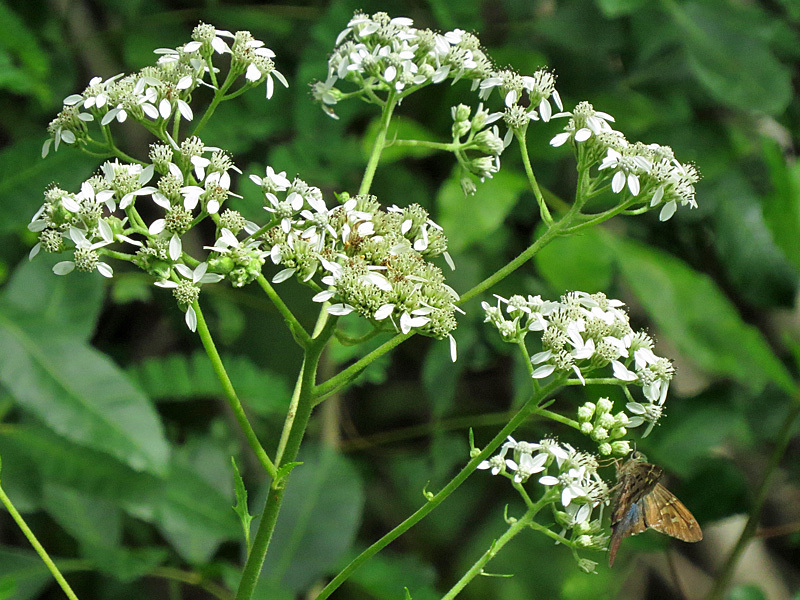 Also known as frostweed, this plant is abundant at the Oslo Riverfront Conservation Areas and along some of our less unmanicured roadways including Highway A1A north of CR 510. Nancy pointed out a long-tailed skipper (Urbanus proteus) nectaring upon it. Skippers are so-named for their erratic, darting flight or “skipping”. Like butterflies and unlike moths, other Lepidoptera (“scaly” winged insects), skippers hold their wings in an upright position when at rest. Shown above (left to right) are Don and Karen Schuster, Ralph Johansen, Carolyn Aldhizer, Joan and Phil Mercer, Nancy Soucy, and Linda Chancellor.